Primary Painting and Drywall, Inc. Comment: We have the cabinets for https://www.costco.com/NewAge-Products-Bold-3.0-Series-12-piece-Set.product.100247326.html on order to be delivered May 3rd and would like them installed May 4-5th (weekend). In addition, we have a list of other smaller home improvement items that need to be completed - installing new light fixtures, touch up painting, curtain rod installation in multiple rooms, and striping/painting our porch area. Ideally, we would like someone to do all of these - but primary is the installation of the Cabinets in the garage. Comment: I'm looking to install a new cabinet 36 X 24 where there was previously no cabinet. There are cabinets already installed on both sides of the area where new cabinets will be installed. There is currently an electric range in place that needs to be unplugged and moved to the side. Comment: I need more work space in my kitchen. Palatine Cabinet Contractors are rated 4.78 out of 5 based on 857 reviews of 48 pros. 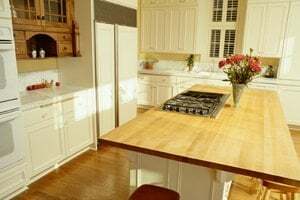 Not Looking for Cabinets Contractors in Palatine, IL?